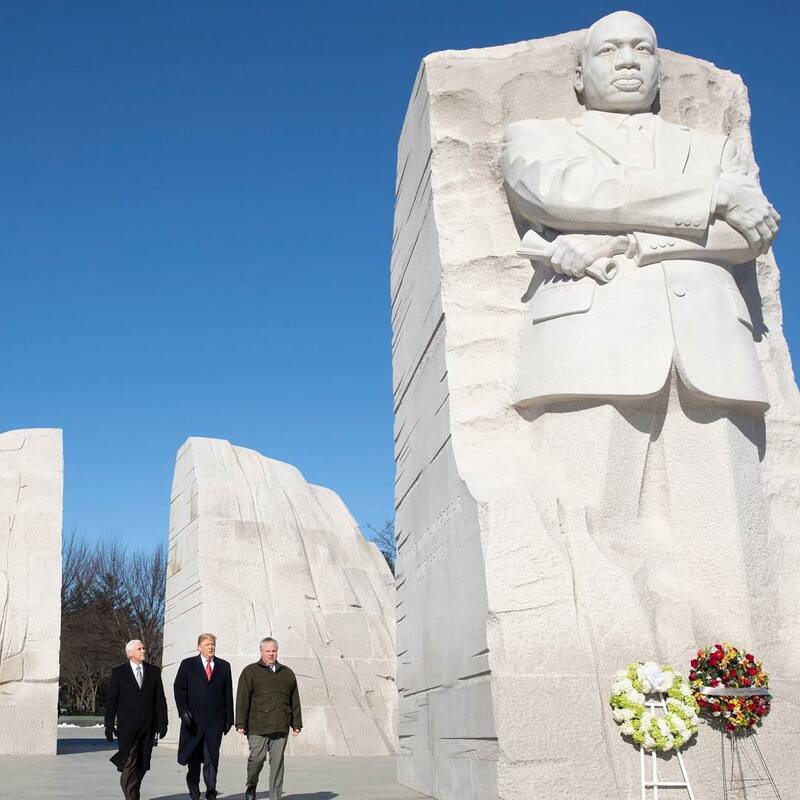 The President of the United States of America, Donald Trump along with his Vice President, Mark Pence Visited the Martin Luther King Jr. Memorial today. "Today we celebrate Dr. Martin Luther King, Jr. for standing up for the self-evident truth Americans hold so dear, that no matter what the color of our skin or the place of our birth, we are all created equal by God. 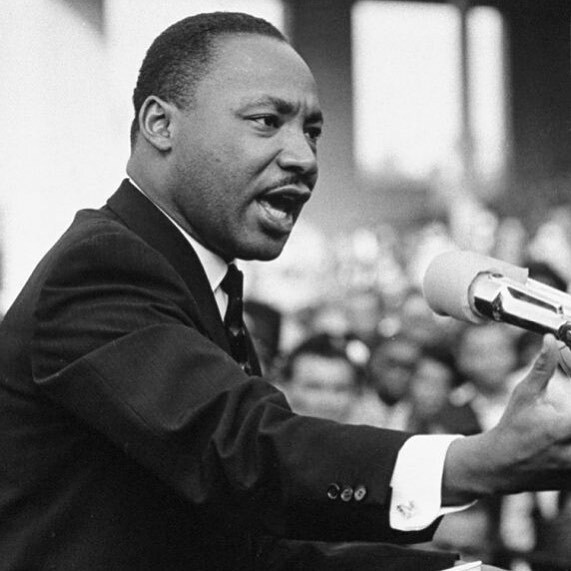 #MLKDay⁠ ⁠". "President Donald J. Trump, joined by Vice President Mike Pence, arrives at the Martin Luther King Jr. Memorial to present a wreath in honor of Martin Luther King Day Monday, Jan 21, 2019, on the National Mall in Washington, D.C".